Back in 2016, when the newly appointed Prime Minister Theresa May called modern slavery “the great human rights issue of our time”, it was one of the few statements she made I could agree with. But three years after the passage of her flagship anti-slavery law, those words have yet to translate into meaningful action. A new report finds that 73 out of the FTSE 100 companies are failing to properly disclose what they are doing to counter modern slavery in their supply chains. This analysis by the Business and Human Rights Resource Centre (BHRRC) ought to be a real wake-up call for the government and business on the need for action to tackle this appalling crime. The Modern Slavery Act 2015 was a landmark piece of legislation, with important preventive measures to reduce modern slavery in all forms, from sexual exploitation and domestic servitude to forced labour and criminal exploitation. Section 54 of the Act says companies with a turnover of £36m or more must produce statements detailing their measures to prevent modern slavery in their supply chains. While this provision could be stronger, since companies could be in compliance just by declaring the absence of such policies, it remains a crucial tool for providing a basic level of transparency. However, as this report shows, the provision only works if it is properly enforced. A minority of businesses, including high street chains Marks & Spencer, Morrisons and Sainsbury’s, are producing modern slavery statements with more information year on year. But the majority are providing vague or empty statements with little or no information about their anti-slavery measures, with Rightmove and Paddy Power Betfair among the worst. This is hardly surprising given the wiggle-room given to companies by the government. For example, I sit on parliament’s public accounts committee, and recently had a chance to ask the government questions about the Modern Slavery Act. In our exchange, the Home Office told me it does not compile a list of companies required to produce a modern slavery statement. The Home Office also confirmed that it does not have a list of companies that have produced such statements, and does not maintain this information in a central database. This means that analysis of company declarations is left to non-governmental organisations (NGOs) such as BHRRC, which runs its own Modern Slavery Registry. These NGOs do valuable work, but they don’t have the power to compel businesses to disclose this information. These disclosures are a statutory requirement and, as such, they should be the work of the government. Yet even the government lacks to the power to issue financial penalties when companies fail to comply. This means the law has no bite, and leads to a paper commitment from business – and often not even that – rather than concrete action. The upcoming independent review into the Modern Slavery Act is welcome, as is the government’s pledge to release its own modern slavery statement next year. But there are things the government can do now to make this law stick. The government should publish a list of companies required to produce modern slavery statements, and there should be a central registry of these statements, run by the government, where the public can scrutinise company action. Section 54 should be expanded to apply to all public bodies, so no stone is left unturned in the fight against modern slavery. And there must be financial penalties for companies when they fail to produce statements, or when they declare they are taking no steps to tackle this blight. As the Brexit debate continues, with uncertainty for workers and business over immigration and trade, experts have warned of a greater risk of modern slavery. Right now, the law is not adequate protection against this threat. We owe it to the victims of modern slavery to back up our words with actions. 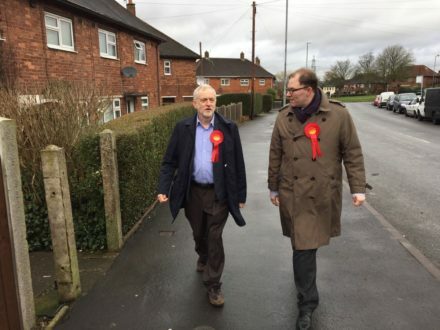 Gareth Snell is MP for Stoke-on-Trent Central.